How to get the alpha label name of the column and rows? To get the alpha label name and Numeric label of a column/row, GridRangeInfo.GetAlphaLabel() and GridRangeInfo.GetNumericLabel() methods can be used. 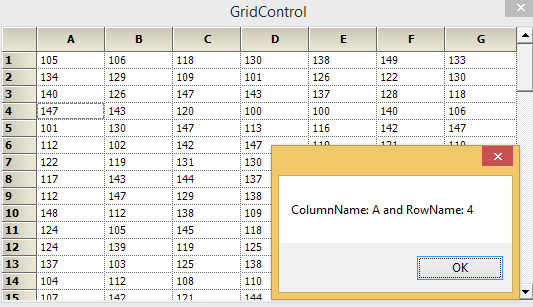 In this sample, we have displayed the alpha label name and numeric label name in grid cell click.